I’d been planning for this trip for years, ever since I first laid my hands on a copy of Baked, the cookbook. Quite a few baking books come out and a lot are really good, but this one spoke to me. I mean, each and every dessert sounded like something I not only wanted to bake, but wanted to eat. As in right away. As I read through the pages, I have to say that I fell in love with everything in there, from the Baked brownies to the Sweet and Salty Chocolate Cake. 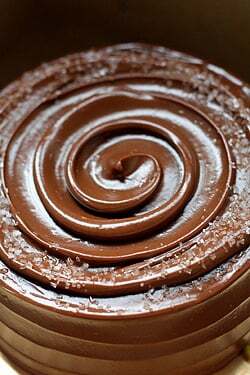 With those swirls and swirls of shiny, dark chocolate, I just wanted to dive right into that cake headfirst. And I know this might get me into a little trouble, but I found I had a sweet spot for the authors as well. I was entranced because Renato Poliafito and Matt Lewis of Baked share with me a similar sensibility about desserts: we seem to agree that forceful, dynamic flavors, trump elaborate presentations, and prefer to let just a few great ingredients shine. Unfortunately it took me about a year after I read their book (and an interesting bus ride from Manhattan) to get there, but it was worth the wait. Located in Red Hook, in Brooklyn, Baked seemed to me to be an unlikely place for a bakery. But as they say: If you build it, people will come. And I was glad to be one of them. I’d stalked called them in advance to see if they had some free time to share some treats and when I arrived, I didn’t know where to begin. Big, steaming cups of hot coffee were the first order of the morning as I plowed my way through a platter of cookies while they were being nice, polite gentlemen and trying to properly welcome a visitor. Normally I make a nosedive into anything chocolate, but it was the Apricot Bars with their crumbly nut topping that I found myself reaching for repeatedly. I’m sure they thought I was some sort of sugar-zombie the way I attacked it, but it was quite wonderful and had a sweet-savory je ne sais quoi that I couldn’t figure out until I opened up their latest book, Baked Explorations and found the secret ingredient: a generous spoonful of fresh rosemary in the dough. But one thing I did bring with me to Paris were bags of dried California apricots, which are what they use for these apricot bars. Unlike other dried apricots that are plump and sugary-sweet, we used to call these “dried monkey ears” for no other reason than we were being goofy in the kitchen. 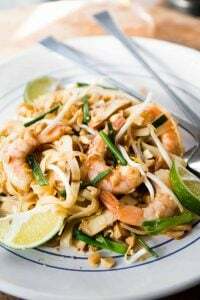 If you give this recipe a try, do hunt some down. Most grocery stores in the states carry them, including Trader Joe’s (and Sun-Maid), and although I’ve not seen them in France (except in my pantry), when I was in Switzerland recently the dried apricots sold in the Migros supermarket were just as tangy as those from California. So don’t monkey around; use the right dried fruits. For some reason, I woke up the other morning at 3:30am after an awfully late dinner of steak-frites the night before and couldn’t get back to sleep. So I pulled out a baking pan, started simmering some apricots, and gave these fruit bars a go. I wanted to make the Chocolate-Covered Marshmallow Cups (page 178), but I don’t think the neighbors would have appreciated the sound of my stand mixer whipping meringue at that hour, so instead I treated them to the smell of baking a buttery shortbread crust, with a sly edge of rosemary. Who would mind waking up to that? Adapted from Baked Explorations by Matt Lewis and Renato PoliafitoI tweaked the recipe just slightly. I added a few swipes of fresh lemon zest to the dough, which added a little bit of zing to compliment the fresh rosemary. For those with a flair for the exotic, it might be fun to try these also with freshly ground cardamom (1 teaspoon) in place of the rosemary to take them in a different direction.My topping came out a bit more crumbly than those at the bakery, probably because I thought the topping needed more nuts than indicated in the recipe. 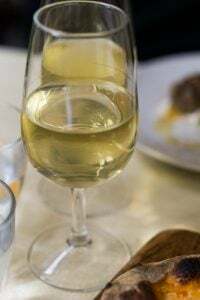 Which taught me not to mess with success.I had some leftover white wine that I used in place of the water for poaching the apricots which gave them a more complex flavor so you can use either. But I agree with the authors that California dried apricots are much, much better than their sweeter counterparts from other countries. So try to use them if possible. If you can’t get them, add the juice of half a lemon to the poaching liquid. 1. Line a 9-inch (23cm) square pan with aluminum foil then butter the insides or spray with cooking spray. 2. Make the rosemary dough by creaming the butter with the powdered sugar and salt in the bowl of a stand mixer, or by hand, until it’s light and fluffy. Add the vanilla, lemon zest, and rosemary, then gradually add in the 1 3/4 cup (250g) flour, mixing until the dough is smooth. 3. Transfer the dough to the prepared baking pan and pat it flat into the bottom of the pan using lightly floured hands. Refrigerate the dough-lined pan for at least 30 minutes. 4. Make the apricot filling by combining the apricots, water (or wine), granulated sugar, honey, brandy, and a pinch of salt in a medium saucepan. Simmer over low heat for about 45 minutes, or until all the liquid has just about been absorbed. Let cool for a few minutes, stirring, then puree in a food processor until smooth. 5. Preheat the oven to 350ºF (180ºC). 6. Baked the rosemary shortbread for 25 to 30 minutes, until golden brown. Once baked, let the shortbread cool to room temperature. 7. Make the crumb topping by mixing together the 1/2 cup (70g) flour, brown sugar, nuts, salt, and butter in the bowl of the stand mixer, with the paddle attachment, until the mixture just barely starts clumping together. 8. Spread the apricot filling over the shortbread in the pan evenly, then top with the crumb topping and bake for 20 to 25 minutes, until the topping is browned. 9. Remove from oven and let bars cool completely in pan. To slice, lift the bars out of the pan by grasping the edges of the foil. Slice into squares. 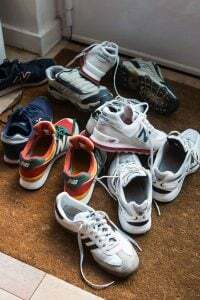 Storage: The bars can be stored at room temperature or in the refrigerator for up to three days. Variation: For those of you wishing to use a different dried fruit, the yield on the apricot paste was 2 cups (about 500g), in case you wish to make a substitution. Omg, these all look so delicious!! You leave me with an intense craving now, am off to find something, but before that, lemme place an order for that book now!! meanwhile, what a funky coincidence, the coop just started selling new baking ingredients, including one called “patisserie-streusel” – they’re chocolate sprinkles ! but instead of hydrogenated oil, starch and wax as some sprinkles tend to have, they are natural. the ingredients list includes: cocoa powder, skim milk powder, butter … and rosemary extract. hmph. the baked book has been on my chanukah list – glad the holiday is so early this year ! =) thanks for sharing the recipe, so i can get baking until then. those apricot bars look delicious, and so do all those other wonderful desserts! yum! I wonder if California dried apricots are like proper good Australian dried apricots – leathery but succulent and full of sharp flavour, not squishy and sickly sweet. Or are they just the brown rather hard sun-dried natural apricots – which are OK, but not quite so good. The only place I know of in Europe to get the really flavoursome dried apricots is Cranberry in Borough Market, and they don’t have them all the time – they call them ‘sharp apricots’. Susan: I don’t know about the Australian apricots but I’ve given some of the California ones to French friends to taste and they find them too sour. Oddly, Americans have a reputation for liking things sweetened, but we also have a fondness for things like kale, radicchio, as well as tangy dried apricots. Kerrin: If you do get them, (they’re in the green Migros package), I’d love to know where they’re from. I forgot to take note of them before I disposed of the package but I’m pretty sure they weren’t from California. Interesting that the Swiss like tangy apricots whereas they’re hard to find in other places in Europe. Australian apricots are very similar to California apricots. They sell both here and it really doesn’t matter which one you choose, they taste so similar. Though I think both vary according to brand, I’ve had “California-style” apricots which were sugary sweet and misleading, and plump, sugary Australian ones too. I just look through the packet and look for the small, hard ones which are probably sourer. As for the cookies, I see a particularly succulent looking one on that platter, chocolate topped with pecans? God I need this book. Vidya: I did a bit of scooting around the internet and saw that a lot of Australian dried apricots are of the Blenheim variety, which is what they use in California. There are a lot of Glacéed (or glazed) apricots, which they also sell in France, that are heavily sweetened. They’re so sweet they hurt my teeth. apricots: I am always going for the ‘sour’ ones and I seem to remember (fondly) that the Migros ones were pretty good…. But of course I can’t tell where they came from, Turkey probably as Switzerland gets of lot of dried fruits from there. Absoluty delicious! This looks so good. Rosemary dough – brilliant! Will keep an eye open for tart dried apricots. I stumbled across Baked in a feature in British Magazine Food and Travel and got onto Amazon and ordered it immediately! It’s an excellent book, well written, good instructions and most importantly – reliable results. I made the chocolate mint grasshoppers and they were out of this world good! I loved the first Baked book, so I am really excited about this new one. I haven’t had the chance to actually flip through it yet so your post has been like a good teaser trailer. Sadly I am going to have to wait until my next big Amazon order for this one. Sigh. I found your post title deliciously misleading – “baked apricot bars” sounds a titch too healthy… but baked’s apricot bars – and cupcakes and cakes and brownies – are all too exciting. I’ve been avoiding buying Australian dried apricots because of the sulphur dioxide apparently used in them to help them retain their orange colour. A google search brings up a few discussions on the topic. Do you think there should be genuine cause for concern on the matter or just consider it another unavoidable preservative? Just the word ‘sulphur dioxide’ conjurs up an image in my head that I’m going to be poisoned and choke to death when I chew on one of those apricots. Gah! I love tart apricots–my regular snack of choice. Looks like I’ll be making these this weekend…along with a large pot of mulled wine. I <3 fall. Oh my heavens! I’m obsessed with using rosemary in sweet dishes. Thank you so much for the recipe, David! I’m so glad you have this blog, because after I read your book I was craving for more of your writing and your recipes. I saw the baked brownie with salty caramel on the Best Thing I Ever Ate and have been searching high and low for that recipe. Is it in the book you have?? 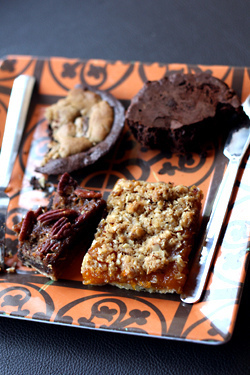 The apricot bars sound amazing…but what are those chocolatey bars you have pictured above? J’adore ce que vous faites c’est vraiment delicieux…. BAKED is always my last stop before home after shopping at Fairway in Red Hook, Brooklyn. It really is a treat to walk by the waterfront, see the Statue of Liberty, go food shopping (Fairway) and then….coffee and treats from BAKED. Can’t wait to make these bars and to get the book. Thanks. Oh my, one more thing on my to-do list this week. These sound like every single good thing I wish for in a bar. back from migros ! the green package of apricots you mentioned is not in fact from california, but from… [drum roll please] … south africa ! there were also other packages from turkey, but the south african ones are the tangy ones you refer to. i’m mostly used to seeing the dark, soft turkish figs in europe too. cool to know i can find the others here. Rosemary and peach are a very nice combination of flavors. Baked sounds like an intriguing book. I will look it up! In the Pacific Northwest, you can find the California (Blenheim variety) dried apricots at Safeway as well as Trader Joe’s. (Trader Joe’s usually has the best price though.) I always use these as they provide the best apricot flavor and are very tart. They don’t look pretty though, so if you’re using apricots for show (dipping in chocolate or other confection), it makes sense to use the Mediterranean or Turkish apricots. 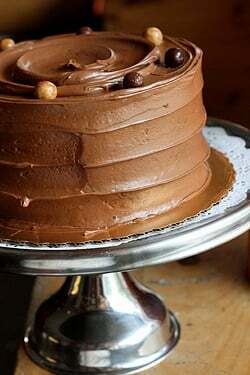 That chocolate cake looks amazing! I definately have to buy that cookbook. What are the bars with the pecans on top, right next to the apricot bars? Kinda had my eye on those, I guess I need to make my own pilgrimage to Baked! The cardamom is a good suggestion, I love the stuff, my dear friend from Jordan, who practically puts it in everything kinda got me addicted to it. I always get the big bags of slab dried apricots from Trader Joe’s with the intention of making something, but they always end up disappearing before I can make anything with them…weird…but I’m so exited to try these out, thanks! 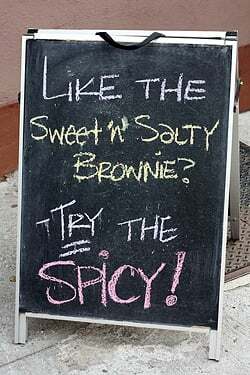 I’m a little embarrassed to admit this in such company so please pardon my ignorance, but what exactly is a “spicy” brownie? Thanks god the holiday is upon us. I have every reason to eat make this, eat this, and eat more. Thank god the holidays are upon us. I have every reason to make this, eat this, and eat more. 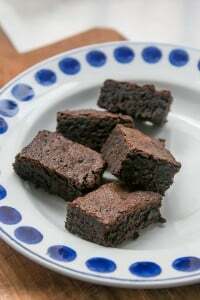 Rosemary Squares sound delicious and I have already added Baked to my list of stops to make on my next trip to the east coast – their goods look amazing and I am SO intrigued by the idea of a spicy brownie! yum! those sound soooo tasty! I can’t wait to try them! 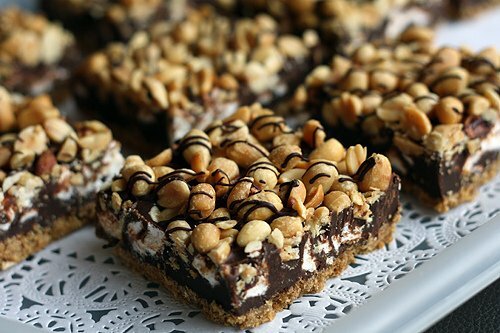 I’m so skipping yoga tonight to make these….plus it’s snowing, so I’ll use that as my excuse. If anyone is looking to add other fruit, a mix of apricot and dates is quite nice. Both Baked books are just so amazing. I need more hours in the day so that I can work through every recipe! These look divine – I love the idea of the cardamom variation. We get two types of dried apricots in New Zealand: Turkish ones, which are small, pale, plump and flavourless, and our own South Island ones, which are like an apricot explosion going off in your mouth. I think these must be like the California ones. I make apricot suedoise from a 1970s Cordon Bleu recipe (a delicious apricot goop studded with tiny meringues), and made with New Zealand apricots it always elicits moans of appreciation. 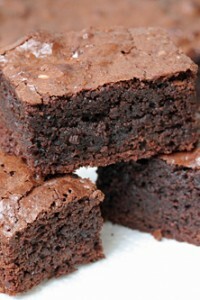 After I brought Baked Brownies to a party, a friend told me to throw away all other brownie recipes. Which I did. Except for the ‘supernatural brownies’ which are the only ones that Man Cub will eat. Mrs. UC (my lovely s-i-l) only wants the salty carmel cake for her birthday but my chocoholic baby brother says his dream birthday cake is YOUR fresh ginger cake. & my mom is not happy that she wasn’t asked to bake it. 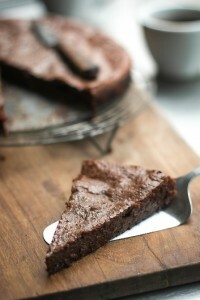 I am becoming addicted to coarse salt, and to see it on your chocolate cake is very intriguing and tempting. In our humid climate, I wonder if chunks of salt will become moist and attract water. 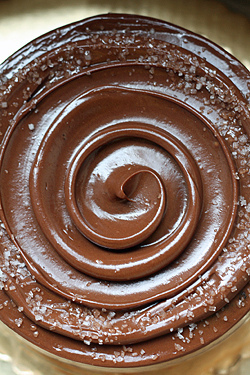 There’s only one way to find out … baking a chocolate cake tomorrow, strictly for experimental purposes, of course. I only discovered ‘slab’ apricots last year at TJs and it rocked my world. Mmmm, they sound delicious. I can’t wait to try them. Good thing I’m already planning a trip to TJ’s this weekend. What I love most about this post – besides the yummy-sounding recipe from the Baked guys – is that when you can’t sleep in the middle of the night, you go into the kitchen and bake. Have to agree with Gavrielle, our New Zealand Otago (that’s a region in the South island) apricots are the bomb. I’ve got a couple of bags stashed in the pantry, so I know what I’ll be baking tomorrow. Those bars look awesome. I also love a spoon or two of poached dried apricots on rice pudding; somehow the sharpness works with the creaminess for me. 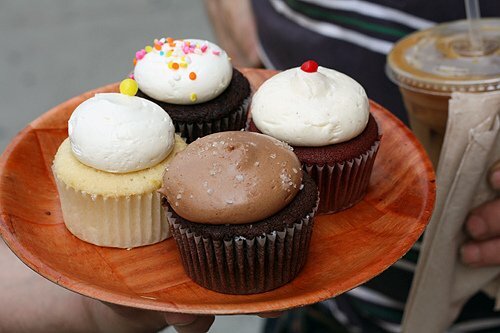 Baked is definitely on the list for the next NY visit, even if it is an hours bus ride. Not only are they great bakers they’ve got a great sense of humour – check out their book promo videos on YouTube – under brooklynbaked. Agree – NZ Otago apricots are like apricots should taste – fresh and dried. If only I could teach the food to dance! Karen and Gavrielle: A lot of those apricots are now being called “Mediterranean apricots” because I guess that sounds a bit sexier. (I’ve also seen some from China, too.) But they’re a lot cheaper so people are buying them over the California apricots, which are of the Blenheim variety. Nice to see that they’re also available in New Zealand and other places, but curious that I read the Blenheim was an apricot variety that was actually cultivated in the Luxenbourg Gardens in Paris, hence the name “Royal” Blenheim. We do get plenty of fresh Royal apricots here in France but the dried ones remain elusive. In the Monterey Bay area of California we depend on B&R farms for their wonderful dried apricots. They can be found at http://www.brfarms.com. It’s the best source and it is all from California. If one couldn’t find California (or otherwise) apricots, could they use regular sweetened apricots and just cut down on the sugar instead? I’m not much of an apricot person, but I’m drooling over the box of corner brownies. 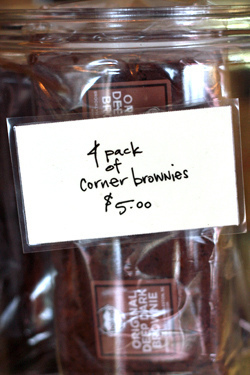 My favorite bakery knows me as “The Corner Brownie Lady.” I need to bring this idea to them! David or any readers – do you recommend one of their books over the other? I’ve been wanting to get one for a while now but can never decide which to get, so I just end up drooling over their recipes from a distance. Your stories are always such a great read. And your recipes and ideas; I love them. I must admit I’ve been guilty of buying those Turkish apricots. To be fair, I didn’t know the others existed and my area isn’t so great at having variety. My next trip to a cultural society will have to include searching for some yummy dried apricots! I grew up in CA in a home with two apricot trees and we dried them. 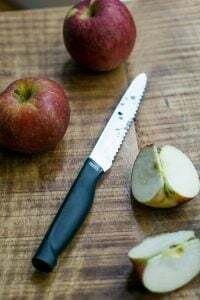 The key is to use really ripe fruit. Oh geez, these look so dam good, the idea of putting rosemary into these would be amazing & they look great too, thanks for this David. 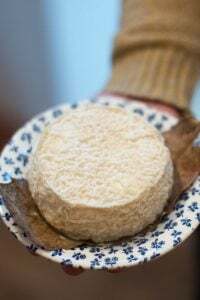 Recipe sounds truly wonderful but if I have the misfortune (not) of living in Paris, what sort of apricots should I use and where would I get them from? 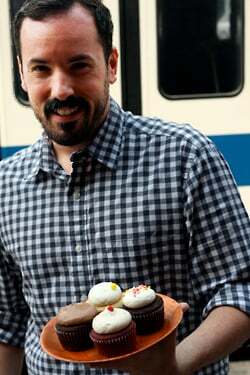 You’re really not helping my obsession with the Baked guys. I’ve already ordered their cookbook online and referred a friend to check them out when she goes to NY in a month, and I’ve never even been to their bakery. One day…. I’m finding both regular and unsulfured Blenheim apricots at Trader Joe’s, is one preferable to the other? You must try the pumpkin whoopie pie recipe. It’s incredible, although every single recipe in that cookbook is to die for. Their bakery is my all time favorite. Again your blog arrives in my mail box and as always it is the best mail of the day. And again I will rearrange my life to bake or make the nights offering .What else could be more pressing than the prospect of an incredible taste rhapsody at 2:30 a.m east coast time? Thank you Again david for being out there……………. Tammy: You remove the seeds from the papery pods and crush the grains in a mortar and pestle or spice grinder (or put them in a sturdy plastic bag and whack them with a rolling pin), until as they resemble freshly ground pepper in size. Ellen: Sun-Maid does distribute California apricots, as well as the “Mediterranean” variety so you might want to check in a few grocery stores in your area to see if they are sneaking them in there. Erica: I fell in love with their first book, Baked, and am just working my way through their second book now. You might want to pick up the first and give it a go from there, too. Liz: Some folks say when the cook sulphured dried fruits, they give off an odor. But I’m pretty sensitive to odors and I’ve not smelled anything unusual. Otherwise it’s a matter of preference; sulphured apricots are generally more bright in color since the sulphur helps them retain that. This recipe looks awesome! I can’t wait to try it this Thanksgiving. I love Baked. Last time I was in NY I made a special detour to Redhook by myself on the Ikea ferry just to visit the bakery. Boy was it worth it. I think it is one of the best bakeries in North America! I had the most phenomenal ginger molasses chocolate cookie. Those guys rock and I hope they continue to expand. Made these tonight with the regular old Turkish apricots from Ralph’s and a hefty shot of lemon juice. They are lovely. I followed the topping recipe exactly and it was very crumbly, but meltingly delicious. Found a bag of dried peaches in my pantry while digging around for the apricots. They were dried white peaches that had expired…well…a while ago. Made a peach paste similar to the apricot for a future batch of these bars, but wow is it heavy! I had expected it to be similar to the apricot flavor but it’s closer to prunes. Won’t work in these bars. Any ideas what to do with ~2 cups of prune-like peachy paste? How do they get the frosting so round and plump? Joanne: I asked them about that and Matt told me that the recipe in the book is the version they did at their Savannah outpost of Baked, and was a bit different than the Brooklyn version, shown in the post. Glad you liked it. Maybe sandwich that peach filling between layers of cake? Renato and Matt are the BEST !!!! The bars are wonderful. I was hoping they would last longer than three days, but my husband is doing his best to ensure they will be all gone before then. Thanks for all of the wonderful recipes and for teaching my daughter how to make ice cream. I have found myself baking in the middle of the night more than once before as well! Isn’t it therapeutic? And it results in awesome breakfasts! The flavor combination in these sounds amazing. I can’t wait to try them! I buy unsulphured Turkish apricots from my local health food store and they are to die for! Very sweet!! The idea of rosemary dough just blew my mind….I’m going to have to try this out! I have tried it! This is the best apricot bar ever! 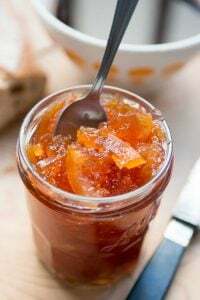 What do you think of using home-made apricot jam and cooking it down w/out the water? I go hopelessly weak in the knees for desserts with rosemary. Rosemary Orange Cornmeal shortbread is a standing favorite. I’ve always avoided apricot bars, fearing they would be too sweat and gacky. These, I think, might just be the ones. Oh I hear ya. 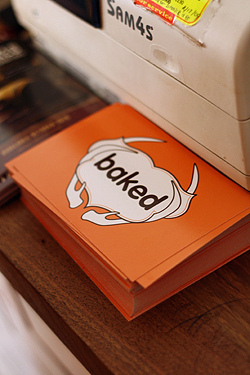 Baked was one place I *had* to visit when I was in New York, and it didn’t disappoint at all. I was just thumbing through that book today and have already bookmarked the apricot bar recipe. Can’t wait to try it out. That apricot recipe was the first one I made out of that book (and there are many I want to make! ), and it was absolutely delicious! I’ll have to try this version…I like the idea of the lemon zest, plus it will give me a reason to make them again! My mother-in-law has a to-die for apricot bar recipe…chock full of butter-y dough and sweet, heavenly apricot preserve topping. She used the preserves which were much easier to use than starting that part from scratch. They were always the hit of any event that she baked them for. She hasn’t made them or anything like that in a very long time because of her own health issues. Her recipe was contributed to her local synagogue sisterhood cookbook, which just published its third edition cookbook in honor of the centennial. The Apricot bars are to die for…..every recipe I have tried on your website has been a runaway success..so I bought your book “The Sweet Life in Paris”..and like your recipes, it is a complete success,I love your style of writing very much. I live in Spain and can’t always get baking ingredients here but usually manage online or in Gibraltar unless it’s an American ingredient and then I have to be inventive. I was drawn to this recipe because of the rosemary. I was worried by how dry the topping looked, and thought it might just fall off with every bite. It held together just fine. These are delicious–thank you. Hi, I’m from Poland. Simple words – but your blog is amazing! I just made these, albeit the cardamom version. They are fantastic. I skipped cooling the shortbread crust (ran out of time) and used a fairly tart apricot compote/jam I made this summer (with Oregon apricots) and just added the brandy to the compote. Definitely a keeper. Thank you! I just made the rosemary squares… tweaked? Sure. 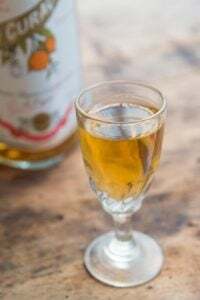 I used an already opened bottle of japanese plum wine to rehydrate the dried apricots, and baked the recipe in a fluted tart pan. I’m taking it to a traditional family dinner celebration of Three Kings Day (Jan the 6th) aka as “twelfth night”. I know it’s a bit blasphemous to make shortbread without butter, but I made the shortbread with a combination of 8 T olive oil and 5 T Earth Balance and an additional 1/4 cup of powdered sugar, and it came out great. The olive oil really compliments the flavor of the rosemary. I then substituted coconut fat for the butter in the crumb topping. I used 3 T, but would advise maybe adding an additional tablespoon – the flavor was great but it was a bit dryer than it should have been. For an out-of-this-world feeling, add fresh or frozen cranberries (not dried)! I threw in about half a 12oz bag and followed directions as written; did not add any more sugar. The result – fantastic, tart feeling; the combination of flavors is amazing. The cranberries add more liquid, so it took about 15 min more to cook down, and still seemed a bit liquidy. But after having been pureed and cooled in the fridge, it thickened to just the right consistency. This feeling can be used in many other recipes: tarts with frangipane anyone? It is one of the best fruit based feelings I’ve tasted. Will make these again but in a 13by9 pan, as I found the crust layer a bit thick for my taste, and there was extra feeling and topping left. I think the bigger pan will yield the right proportions. I made it with cardamom and it worked great.